Can You Send Luggage AHead? Yes, of course you can. You can easily send your luggage ahead with Send My Bag. All you have to do is pack up your luggage securely, then book a collection online, selecting your chosen destination. You can time your delivery so that you are there to sign for it, or you can send your luggage to friends or family at your destination. Alternatively, you can send your luggage to a hotel, where reception can take receipt of it for you. Lots of travellers choose to send their luggage ahead to their destination. This includes holidaymakers, people moving abroad, students studying away from home or overseas, and sportspeople travelling for competitions. 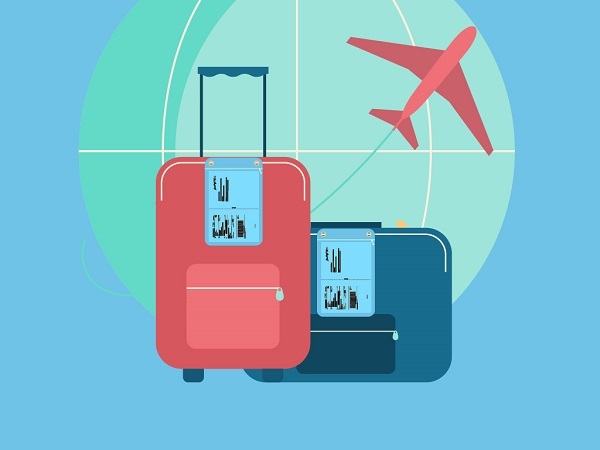 People going on vacation find that sending their luggage ahead turns their journey into a more enjoyable experience; their vacation can begin straight away as they enjoy the luxury of luggage-free travel. If you are moving or studying abroad, sending your luggage internationally turns a mammoth operation into a piece of cake. What would have involved removal vans or dragging a mountain of luggage behind you becomes a simple matter of packing a few boxes or suitcases and handing them over to our delivery driver. Once your luggage has been collected, all you have to worry about is getting you and your tiny piece of hand luggage to your destination. Your luggage will arrive at the door of your new abode, allowing you to create an instant home from home. Students find that shipping their luggage ahead is a great alternative to storing their luggage, which can often work out very expensive. It also means that they don't have to worry about their possessions going mouldy in storage but can always have their things with them, wherever they go. Travelling overseas for sports competitions can take its toll, so why not make things easier for yourself by forwarding your heavy sports equipment to your next destination? You can send your personal effects, too, allowing you to conserve your energy for the competition. Luggage forwarding is just another way of referring to sending luggage ahead. It is a way of shipping luggage by sending it ahead to your destination before you travel there yourself. Send bags ahead to bring as much luggage as you like - much more than airline baggage allowances permit. Send bags ahead to avoid excess baggage fees. Send bags ahead to enjoy a luggage-free journey. Send bags ahead to speed up your journey and make it less stressful. Send bags ahead to move abroad. Send bags ahead to take an extended trip. Send bags ahead to move to university or college. Make sure your items are carefully packaged and labelled. See our ‘How it Works’ page for more information. Sending sports equipment? Then take a look at our advice on sending golf clubs, shipping skis and sending bikes. Make sure there is someone to receive your items. Either send your luggage ahead on a date that allows you to arrive before your shipment does, or make sure there is a friend or family member to receive your items for you. If shipping luggage ahead to a hotel, it is a good idea to notify reception that your bags will be arriving by luggage courier. Take note of any customs restrictions in your destination country. Find your destination for country-specific information. Include all necessary documentation. Make sure you provide all documentation required of you, including contact details, personal effects information (where required) and any additional customs forms.